Plus 18 Dream Dresses and Over 250 Beautiful Places to Get Married! 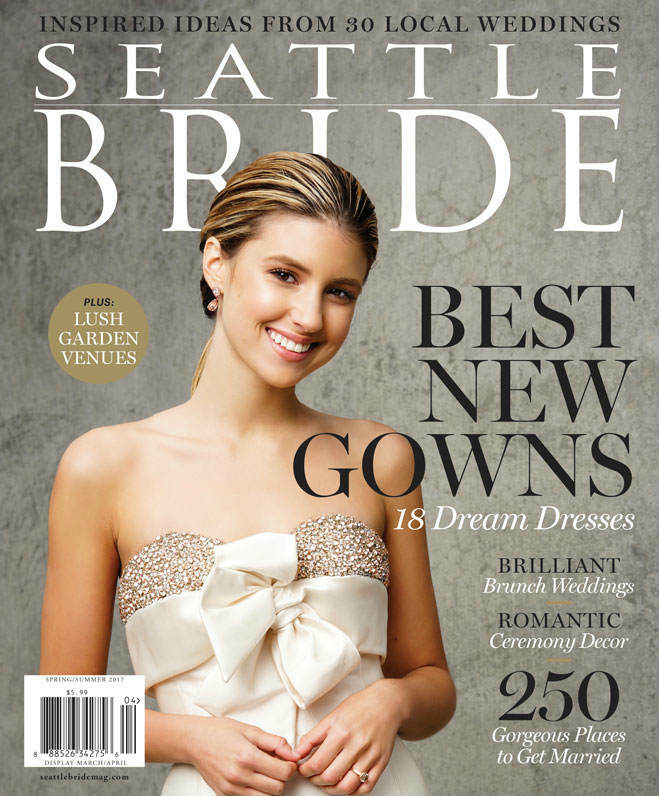 After an intimate ceremony held at the lush and romantic Parsons Garden on Queen Anne, the couple and their nearest and dearest mingled in Kerry Park before heading off to The Olympic Rooftop Pavilion in Ballard to party it up. Nicolle loves great food, after growing up in her parent’s restaurants, while David loves music, so the Puyallup-based pair fused both of these passions into their rustic yet refined celebration at The Olson Mansion. The Queen Anne–based pair wanted to host a relaxed wedding weekend for their family and friends, soon settling on Cave B as the perfect retreat. For the ceremony, the couple drew from Indian and Hindu traditions, with the groom entering on a horse for his baraat, the groom’s wedding procession, while the bride wore a pink sari matching the color palette of pinks, oranges and golds for the ceremony.